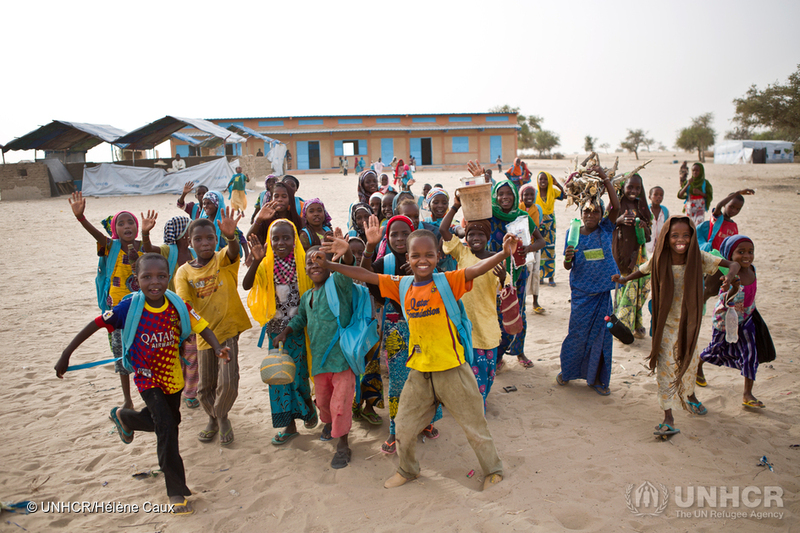 Nigerian refugee children gather in the school yard late afternoon in Sayam Forage camp, in south Niger, after attending their last class of the day. Data, information and analysis are prerequisites for improved humanitarian response. Yet the push for quality data and evidence has not been matched by a similar increase in the sharing and use of the data collected. There is currently no common framework for how and when data is shared in support of humanitarian action and protection response. The absence of a common framework results in a) less or no sharing b) irresponsible sharing or c) confusion among partners about what can or should be shared. All of which may result in a loss of knowledge and evidence needed for decision-making and response, both internally and with operational stakeholders and partners. Several data and information management initiatives have been launched in recent years. Through these, various streams of work have emerged seeking to facilitate, encourage, and ensure safe and responsible data sharing for stronger humanitarian action and quality outcomes. The objective of the 16 May meeting was not to replace or dismiss this work but rather to support and build upon it, with a view to explore how different institutional perspectives and various data and information management initiatives could be brought together for a more successful result as a community. Data combined with the changing nature of technology poses complications for understanding the opportunities and challenges around data sharing. For example, discussions often combine issues of process, risk, data and analysis, making it difficult to separate and analyze the various components. Part of the motivation for the creation of a Framework for Data Sharing in Practice is to provide a conceptual starting point from which to separate and begin to address specific issues relating to data in support of humanitarian and protection response in order to develop them collectively. Further, there is a recognition and shared value among stakeholders for the need to create a Framework for Data Sharing in Practice. The OCHA & PIM Framework for Data Sharing in Practice: Part I is available for download as pdf here.